After listening 48 times to the 2nd album by the Israeli prog-metal band “Distorted Harmony” (DH), I can say with certainty that this is an excellent export product for Israel. “Chain Reaction”, while far away from the ethnic-metal music of bands like Orphaned Land, captures the right hemisphere of the brain with considerable success. Compared to ‘ Utopia ‘, the ensemble’s debut album in 2012, this album boasts more sophistication, focus and self-confidence. Over 9 tracks and 51 minutes, the album proves that DH is not a one-time miracle. The CD displays extensive experience gained outside the band, very high technical skill and natural talent to write melodic musical pieces, original and exciting. Many Israeli bands suffer from the ‘weak link syndrome‘ – when one member of a talented ensemble trails after the rest, but no one is willing to get rid of him, because that’s not pleasant, he’s a personal friend. Not so with Distorted Harmony: each band member is an ace, all endowed with appropriate musical abilities, and together they are just unstoppable. You can really feel that this is a collection of well-rehearsed musicians, working hard for two years, a real cutting-edge band that has painstakingly crystallized over time. As the keyboardist and band leader, Yoav Efron, was the most dominant member in the debut album, this time around he gave other members in the band the opportunity to lead the music. Guy Landau (guitar) demonstrates maturity, muscle, depth and amazing skill. I will compare him to John Petrucci and Michael Romeo‘s latest albums with Symphony-X. Second in the race for MVP, Yogev Gabay (Drums) boasts elegant virtuosity, using intelligent syncopation, changing meters and creative rhythmic transitions. The compliments to Landau and Gabbay don’t come at the expense of Misha Sohinin (vocals), Iggy Jackson Cohen (bass) and of course Yoav Efron (keyboards, melodies, production, etc.). Sohinin sounds great as usual, refusing to conform to prog-metal singers clichés and mannerisms. Bassist Cohen filles his lines with a jazz vocabulary, although most listeners will not be able to hear his subtle intricacies. Yoav Efron enriches the entire recording with heavy walls of sound, electronic samples, broken chords and fast melodic lines. But Efron is primarily a project manager, who sees the overall picture — not just his own synthesizer; He can be proud of his “baby”, even though the album does not show-off with super keyboard solos under his belt. And that’s a very good thing, when you’re talking about prog-metal, a genre suffering from overkill, speeding tickets and heavy shouting. Chain Reaction’s weaknesses are not hidden very deep: First, it’s a prog-metal album for prog-metal fans only. It’s hard to believe that people who do not like heavy metal music will connect to an aggressive one, which contains a predictable combination of heavy shelling and many moments of almost-symphonic beauty . Second, it is difficult to say that this album has something important to say, lyrically or conceptually. It’s not avant-garde in any way, and DH has no intentions in re-inventing the prog wheel; The band members stay away from gimmicks like fire. They don’t want to provoke, surprise too much or show they are more clever than their hard-core audience. 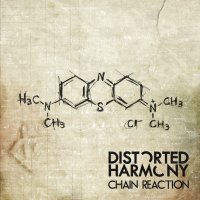 Chain Reaction has lots of wonderful moments worth experiencing over and over again: the choral anthem (5:10 timing) in the opening track (Every Time She Smiles); The revolutionary vocal tantrum of Sohinin (2:42 timing) in the 2nd track (Children of Red); Sophisticated instrumental passages (5:11) in the second half of the third track (Misguided); Thrash storm in the middle section (timing 3:50) in the 5th track, As One; The closing Djent-like section of the 6th track, Hollow (timing 5:46); Remarkable virtuoso opening of Natural Selection (0:19); Morbid band Porcupine Tree and Steven Wilson in the last, 9th track, Methylene Blue. Part of the secret of success of “Chain Reaction” lies, as usual, in technical matters: the musical production is extra-polished, loaded with up-to-date effects and electronics, benefiting from the superb mix by a great team (Yoav Efron, Priel Horesh and Jonathan Barak), and the work of the super-professional digital master wizard Jens Borgen. Sung in plain English, showing heavy financial investments and attention to fine detail, all of these qualities make “Chain Reaction” one of the best prog-metal albums of 2014. This entry was posted in israel progressive rock, progressive metal. Bookmark the permalink.